A little history about a mall that had a huge effect on my formative years. My family moved to Scotchtown in 1968 (I was 9 years old) before the mall was built. We moved there from Canoga Park in southern California where we went to the Topanga Plaza (a mall that's still in existence). When we moved to the Middletown area there was nowhere to shop... there was Lloyd's (a department store/supermarket)and there were downtown Middletown's little shops with a Montgomery Wards and a Woolworths. Parking downtown meant driving around the block, over and over, hoping to find a vacated space along the curb. Coming from SoCal it really felt like the boonies. The mall was close enough to home that we could ride our bikes or even walk along Rt. 211 there were trees outside some of the entrances were you could lock up your bike. One of the highlights inside was Mama Brava's Pizza which was located right outside Penneys. You could walk right up to the counter (which was open to the interior) and get a couple slices and a soda for $2.00. Since there weren't enough benches around you just plopped yourself right down on the floor (it was originally carpeted) to eat. There were always kids leaning up against the wall of Penneys or sitting in clusters chowing down on the best pizza in the mall it was a place to be seen. Just like malls today the O/P was always full of young people. Friday nights in the fall were always interesting. Jocks (mostly football players) from a lot of the area schools would wear their jerseys and roam around the mall in packs (the varsity games were played on Saturday mornings). There were always stories of alleged fights but mostly it was just trash talking. Once video games started becoming very popular they added first one and then a second arcade. A unique thing they did for a few years was to hold an annual "fishing derby" inside the place. This was for kids only and drew huge crowds the waiting line would snake all through the mall. They brought in this stand alone pool that was rectangular in shape and about 4 feet deep. They loaded it up with trout from a fish hatchery that just swam in circles. They would let approximately 50-60 kids crowd around the pool, elbow to elbow, and give them about 5 minutes to try to catch one of the fish with a pole and a piece of fake bait that they supplied. Needless to say it was very rare to see one of those fish get caught. My friends and I quickly learned the secret... either smuggle in a small worm or corn and try to slip it on the hook when the adults running the thing weren't looking or try to snag one of the fish. In either event you got the fish out of the water and off the hook as fast as possible because if they caught you "cheating" they threw the fish back. After a few years the fishing derby lost it's luster and was discontinued. That mall was also a source of employment for my folks and myself. My first real job was at the aforementioned Penneys as a maintenance worker after I graduated from high school where I earned enough for my 1st year of college. My mom worked at Howlands and later at Dora Dale (the "fat" ladies store) in the Underground. My dad even worked at the Sears part time after he "retired". I would be remiss if I didn't mention a couple of my favorite stores- the "Book and Record" on the main floor and "Record World" in the Underground. I spent hours flipping through racks of LPs and looking at cases of cassettes I still have a lot of my music collection that was purchased at those two places. It was sad when the place dried up and died. I wasn't there for the official end I had grown up and moved away by then. 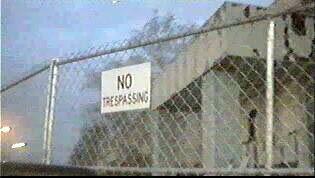 But I still had family in the area and had to drive by the site when I went home to visit. I know a lot of people lament about the loss of downtown Main Street America, but for Middletown in the 70's and 80's that meant the Orange Plaza Mall. 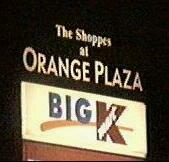 The Orange Plaza was usually a destination for my family every couple of weekends. I grew up about 20 minutes away in Washingtonville and the only thing to do on dreary weekends was go to the mall. I have fond memories of the whole place, from Sears to JC Penny to Sullivans and Greens to Kastle Brothers. The place was dimly lit and originally was carpeted before tile was installed in the 1980's. There was a cool 70's mall fountain at it's center, where people often threw pennies and where numerous signings by pro athletes took place. I met Mookie Wilson, George Foster, and Joel Youngblood from the NY Mets there and John Tonelli from the Islanders. 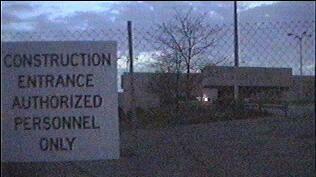 This was about 1982 when I was 8, so it is a bit fuzzy. I am not sure how long they continued to hold those meet and greets, but they were always packed. My favorite store ever was Helen Gallagher Gifts, which was the place that sold rock t-shirts, KISS masks, posters, black lights, etc. It was an independent Hot Topic of the late 70's and early 80's. In reference to a comment made by another commentator, the roof did indeed collapse during the late 70's, early 80's. During a torrential rainstorm there was a mishap with the sprinkler system, flooding the roof of a store called Howlands, which sold clothing. Eventually the roof collapsed, but it was afterhours. My dad brought me there two days later to look at the carnage - it was a pretty big store and a total mess. I still remember the picture on the front page of the Times Herald record with water rushing down the escalator. Growing up in Rockland County NY, my dad was a fan of roadtrips on the weekends. These roadtrips *ALWAYS* led to random malls. Orange Plaza is a good hour from Rockland, but my dad loved long drives. As stated in other reports, the anchors were Sears and Sullivans (I don't remember the JC Penney's). I remember a lot about about this mall, it was always cold and the floors were concrete. The mall was two stories, but I don't believe two stories but only one level was used as retail space. Downstairs next to Sullivans was a strange staircase that lead down to a cafeteria of some sort and a Burger King. The Burger King was really strange, it had a ton of stained glass. The ladies in the cafeteria wore uniforms with "Orange Plaza" on them. I remember a lot of the stores in the mall being food related. The ones that stand out in my mind were: Orange Julius, where my mom would always get one. Some sort of cookie/bake store front that had the wheel part of a windmill on top of the store, I don't know if it moved or not but it was rather large and I always looked for it when at the mall. Lastly, Fannie Farmer, the candy spot. This was more of a kiosk. I used to get a chocolate lollipop every time we were there, they were foil wrapped and had little characters on them. I always got the blond girl jumpping rope. Sullivans was crazy. I once "ran away" from my parents in the store and ran through the China department breaking a glass, which prompted me to "hide" in the elevator. I pushed the emergency red button which caused the elevator to stop and lots of bells to go off. I landed safely on the bottom floor of Sullivans in the billing/service pickup department. Also on the bottom floor was the children's department. It had green carpet. LIME green carpet. LIME green SHAGGY carpet. It was bad. I was sad to see OP go before I could go in as a semi-adult and see it for the last time. I remember the Orange Plaza well, even though I was just a kid when it went under. It was indeed dimly lit, and I remember there being hardly anyone there. I guess that was close to the time it was closed. But there was a Friendly's, and that was the height of the trip out there. My brother would ALWAYS get grilled cheese, and I would ALWAYS get a hot dog. Any attempt by our mother to deviate us from those choices resulted in great cries of injustice. There was also a Woolworths, which by then was also close to folding. When the Galleria came in, it was so much bigger, brighter, and better that the poor Plaza didn't stand a chance. I, too, in whatever capacities a 12-year-old has for boycotting something, boycotted the Galleria for a while, but there was just no getting around it. The Orange Plaza was vacant for nearly a decade but did open again, recently, and my brother and I went last year to visit it. They would have done better, I think, in just tearing it down because of how badly it is set up now. There are two main buildings (Kohls, and another I can't remember) in the front and then a series of other stores in the back. It's all an outdoor mall now--that is, you can't go inside and walk around like a regular mall. There's a pathway the length of the back that takes you past all the stores. But this pathway is dark with a low ceiling and massive, squat columns that encourage one to think that all means of evil is hiding behind. And what stores do they have now? Two or three dollar stores, a couple plus-size stores, a Quiznos, and a handful of other unimpressive, irrelevant ones. I predict that this second round of the Orange Plaza will be more brief than the original. Like Brian states in his commentary, Middletown is one of the perfect examples of how sprawl makes retail evolve. I never got to expierience this mall, but I have gone passed it many times. From my knowledge, there were three anchor stores in the mall. They were Sullivan's, JCPenney and Sears. When the Galleria at Crystal Run opened in 1992 just down the road, the mall started to suffer. Stores quickly moved to the new Galleria and both Sears and JCPenney moved out. 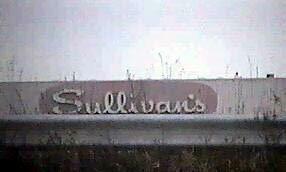 Sullivans closed in 1994. In a last ditch effort, a Super Kmart was added to the mall, but I don't believe it had internal access. This failed to improve anything, and the mall was finally closed, with Kmart being a short lived entity as well. In 2001, the mall was demolished and in it's place rose the new Shoppes at Orange Plaza with a new Walmart SuperCenter, Kohls, Bed Bath and Beyond, Staples, Modell's Sporting Goods, and many smaller shops. The former Super Kmart was turned into a Burlington Coat Factory and other small stores. What is more ironic, this new plaza is starting to have its effects on the Galleria that originally killed it. The retail force keeps turning. I never got a chance to experience this mall from the inside. I heard a mall was going to be demolished in Middletown, NY, and hopped in the car with high hopes. When I got there, demolition crews were inside the mall already, so sneaking in was out of the question. The demise of this mall, in such a successful area was much talked about, so I'm not going to re-iterate some of the information that is already on the website. What I am going to talk about is this story I heard about the ceiling caving in, due to poor construction. Can anyone varify this? Other stories were that the mall was dingy, poorly lit, and smelled funny, even when it was opened to the public. I think what got this mall in the end, really was the super-regional Galleria that was built on the other side of the highway. Any Middletown locals with info out there? E-mail me at horseboy@capital.net. The mall is gone, so I wouldn't bother visiting, but deadmalls.com has exclusive pre-demolition photos availible below. Middletown is the perfect example of how sprawl, competition, and big box expansion make retail evolve. With Middletown, you can look at the last ten years and see a full-circle evolution. This town still continues to fight sprawl. Most recently with the demolition of Orange Plaza, Walmart now plans to build a brand new supercenter in it's place. Walmart already has a store across the highway that went in not more than five years ago. Plans are to convert this to a Sam's Club. Also going into Orange Plaza is a Kohls, among others. An excellent source of information about this mall and area can be found from the Times Herald Record news archive. I recommend checking it out and doing searches for "Orange Plaza", "Caldor", "Bradlees", "Galleria", "Kohl", and "Walmart". "We think that we would not go to mom and pop stores any more, but to big malls. And what we thought we were doing was saving five cents on bread and 10 cents on milk, but what we were actually doing was changing the social construction of the society." These comments were made by my wonderful colleague Patricia Hunt Perry of Newburgh in a video that I am editing as part of a project I have been running to bring ecological literacy into the curriculum at Ramapo College of New Jersey. They readily apply to Orange County. Indeed, there has been a social transformation of Orange County in the face of mall-development affecting the scale of relationships, the health of our communities, the viability of the local small business sector, and the quality of our environment. Take Middletown. Beginning in the 1950s, Ed Lloyd pioneered the miracle mile along Route 211. Playtogs on Dolson Avenue. Both forged a shift of business from the center to the periphery in keeping with the popularity of the automobile in post-World War II America. While Lloyd and others were community-minded in shifting the balance to the fringe from the center, they helped to put Middletown into a spiral from which it may never recover, and in the end, to create their own commercial demise. The center decayed while the surroundings grew. For Middletown, Orange Plaza dealt the coup de grace, the transition from strip mall to mall, only to itself be taken out, in turn, by the Galleria super-mall. In the transition, the diversity of local and small businesses has been crushed in the favor of standardized and homogenized theme shopping. New wealth was created in this transformation, but it was wealth that was detached from the community, with increasing amounts going to far off investors trawling Orange County for profits. The balance of power (and ratables) shifted to Wallkill, which virtually surrounds Middletown (a similar transformation happened between the City of Newburgh and Vails Gate and the Route 300 strip and has - or is being - repeated in our villages, as well). The sense of permanence and quality that came with investments in community was replaced with an architecture and a mode of doing business that is ever transient. Through new development on farmlands, redevelopment of obsolete commercial land uses, and corporate takeover, a frenzy of investments created an ever changing cacophony of unmusical chairs. But the growth of malls not only changes the character of shopping. It also changed the character of communities. In 1975, my colleague Joel Kameron and I undertook an environmental psychological study as part of the natural resource inventory of the Town of Paramus, N.J. A farm community of Black Dirt celery fields until the 1930s brought the George Washington Bridge, Paramus has rapidly grown as a commercial center to the point where it could claim the busiest crossroads and the biggest retail sector of any community on Earth. And what did this gain for the people of Paramus? As we learned in door-to-door interviews and observation, Paramus has been overrun by cars. Attracted by the crossroads of major highways, cars also crowded major secondary roads, tying people up in congestion sot that getting in and out of one's driveway or neighborhood could be a major source of frustration. Outsiders cut through neighborhoods, bringing crime, noise, exhaust and a lost sense of community identity. Given the congestion, tempers were often high. People no longer walked the streets and being a pedestrian was dangerous, indeed. Families with children retreated from the major streets and were replaced by renters or commercial uses, adding to the transience. Recreation, jogging, cycling and general enjoyment of place were often displaced in the midst of a commercial feeding frenzy. A major social dislocation was unleashed that, today, may be less visible because current residents were more likely to have come after the changes took place. If one travels to Rockland County, one finds communities around the new Galleria super-duper mall braced for the same kinds of dislocation and disamenity. It is not surprising that in Orange Environment's comments on the first Wallkill Galleria, we were concerned about adverse economic and social, as well as environmental impacts. Such issues were never really discussed in the environmental review process, despite our efforts. The Galleria was approved, and the new main street Orange County was created. As we predicted in our comments on the Galleria, Orange Plaza followed the fate of the businesses it had replaced. Galleria created a district of mega development, with such community killers as Wal-Mart and Home Depot soon in tow. Even within the Galleria, a progression was evident, whereby smaller and more local business people were supplanted by national chain stores. In the end, our Galleria could be located anywhere. It is placeless and deplacing. It is an anonymous experience in a synthetic world. I boycotted the Galleria for the first year, but as the parent of a teen-ager, I have gradually become enured to the place, particularly tolerating it when it is least crowded. But now even this tolerable experience of the Galleria is threatened by the proposed massive expansion toward the status of mega-mall. The expanded mall would reach out much further, threatening community integrity for a hundred square miles. Applauded as economic growth by this paper and others, the Town of Wallkill appears poised to rubber stamp the expansion with little consideration for the consequences. Just to force the issue, Galleria's owner, the Pyramid Corporation, apparently arrived in Wallkill with a draft impact statement already finished, not even bothering to wait for the legal steps by which a lead agency for the review is named and the need for an impact statement is determined. If that's true, this brash move will also preempt public and town involvement in determining the scope of the draft impact statement. This approach shows disdain for the law and for the people who will bear the brunt of the Galleria expansion. In today's Orange County, it is a strategy that may well succeed. 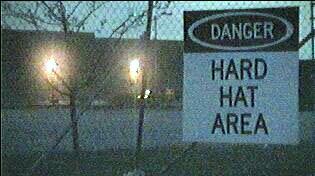 Meanwhile, similar threats confront the rest of our county. The small towns and villages of southeastern Orange County now live in the shadow of the ever-growing Woodbury Commons. A caller to the Orange Environment office recently summed up the social transformation that we are allowing. "It is as if this is no longer the Town of Woodbury, it is the Town of Woodbury Commons." Michael R. Edelstein is president of Orange Environment, Inc., a non-profit environmental group, and professor of environmental psychology at Ramapo College of New Jersey. This article originally appeared in the Times Herald Record news from this article. According to a May 9, 2000 press release, Orange Plaza on Route 211 and Dunning Road in Wallkill (Orange Co.) will be getting some new tenants next year. A new 86,000 square-foot Kohls, a 230,000 square-foot Wal-Mart Supercenter with a supermarket, a Bed Bath & Beyond and The Rag Shop should be ready to open sometime in 2001. The number of jobs to be created was not given. More news about this here and here and here. Some say the mall caused it's own demise... read about it here. Retail giants emerge and die, succumb to new retail giants.